I saw the sweetest things this morning! Edible flowers! Yup, such beautiful flowers that you can actually pull apart and eat, Yum!! Look at these huge 5" Peonies! Oh glory, when I first saw them without reading the description I actually thought these were real. These are so genuinely garden like perfect. Now mind you you can only get these in the united Kingdom by AlegraSugarFlowers, because as every knows (or should know) edibles home made are not really exportable across the wide ocean to North America - what a shame for us over here! BUT, for those of you readers in the UK this is such a beautiful treat - if your having a gala event or a wedding these are absolutely to die for on your cake or, table settings, imagine the look on your guests faces when you advise them to taste the floral arrangements! What fun that would be! OH but don't despair because we here in North America have edibles too! Take a look at these gorgeous toppers, these are exquisite! Straight from incrEDIBLEtoppers in Toronto, Canada! 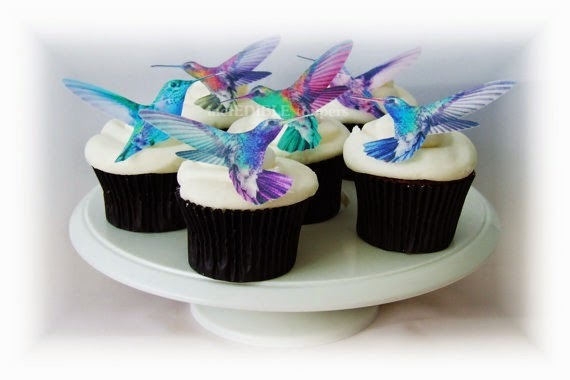 Imagine being able to eat a hummingbird and have it melt in your mouth! Sweet! 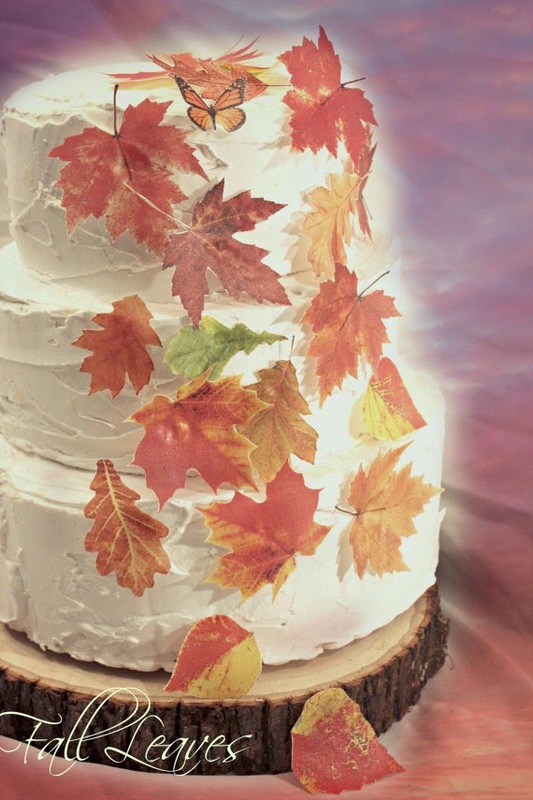 for anyone who is celebrating the advent of this coming Fall or having an Autumn Wedding! Perfect for the upcoming Thanksgiving table. Your family and guests will be amazed your allowing them to actually eat the decorations! What memorable fun! 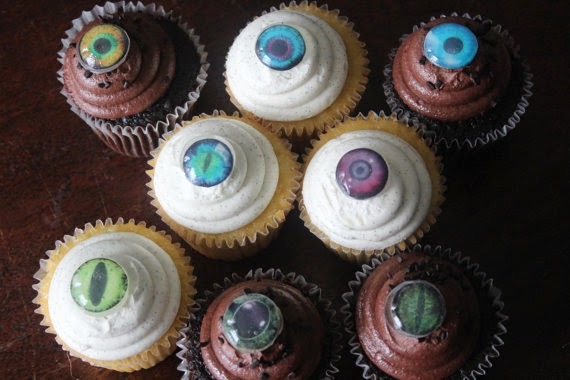 Lets not forget Halloween is on its way and what better than eyeballs for the kids to have at a Halloween party or just as a creepy fun way to celebrate the hallowed eve of dress up fun! Can't you just hear a little one saying to mum and dad "guess what I ate? An Eyeball!" Yikes how fun would that be? 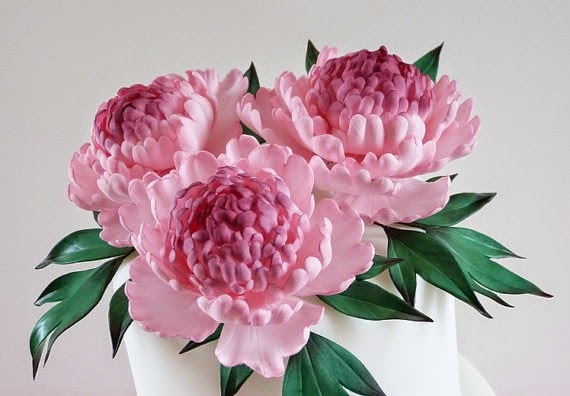 The precision and artistry of the individual making these delectable sugar decorations needs to be applauded because it is a fine art all of its own to manage these delicate blossoms, leaves and aviary treats and so honest to goodness lifelike too! Take those Halloween eyeballs, aren't they super? I so enjoy good art be it hung on a wall, set on a table or edible like those I have shared with you today! Art is art and the fact that this type of artistry can be eaten makes it so much fun and worthwhile trying out. The sheer pleasure of eating something so beautiful and delicious makes the whole experience a special and memorable treat!